Japan's Nikkei 225 stock average rose 44.50 points, or 0.5 percent, to 8,612.52 after initially rising 1.1 percent, and Hong Kong's Hang Seng Index rose 2.2 percent to 15,460.52. 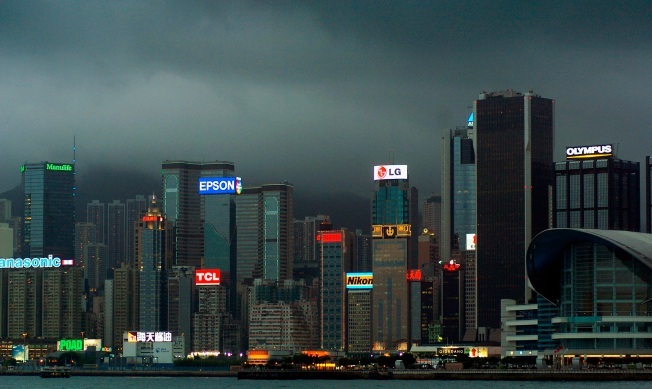 HONG KONG – Global markets were mixed Wednesday after the U.S. Federal Reserve slashed its key interest rate to historic lows, with Asian stocks climbing modestly but European shares falling in early trade. Investor enthusiasm was tempered by a mix of lingering worries about the U.S. economy and a weakening dollar that threatened to add to the woes of Asia's exporters. Also weighing on markets was a steep drop in U.S. stock futures, suggesting Tuesday's rally on Wall Street would quickly fizzle. Overnight, the Dow Jones industrials surged more than 4 percent after the Fed cut its target rate for overnight loans between banks to a range of zero to 0.25 percent and pledged to use "all available tools" to heal the U.S. economy. The central bank's bold actions surprised Wall Street — most analysts expected a 0.5 percentage point cut rather than 0.75 — and raised hopes of lower interest rates and cheaper money around the world to get companies and consumers spending again. In Asia, Hong Kong's central bank followed suit with its own rate reduction while speculation mounted of further monetary easing from the Bank of Japan on Friday. "Every central bank is pumping loads of liquidity into the markets and this is very positive for the markets," said John Mar, co-head of sales trading of Daiwa Securities SMBC Co. in Hong Kong. Asian markets held onto most of their gains after opening higher but European shares soon slid into the red. Benchmarks in Britain, Germany and France were all trading down by about 1.5 percent or more early in the session. South Korea's Kospi added 0.7 percent to 1,169.75, while benchmarks in Singapore, Thailand and Australia also gained. However, China stocks closed largely flat and India's benchmark lost ground. Trade was far more cautious than in the U.S., where markets soared on the Fed's move. The Dow rose 4.2 percent to 8,924.14 and the broader Standard & Poor's 500 index advanced 5.1 percent to 913.18. Dow futures were down 173 points, or 1.9 percent, at 8,741 and S&P500 futures were off 22.40 points, or 2.5 percent, at 890.40. Analysts said the Fed's indications that it would do whatever is necessary to help bring an end to the longest economic contraction in a quarter-century underscored just how deep America's recession is. "Investors in Asia have less confidence than their American counterparts in the Fed's ability to engineer an economic recovery," said Dariusz Kowalczyk, chief investment strategist for CFC Seymour in Hong Kong. Tokyo's gains were limited by the souring dollar and worries about Honda, whose shares slid 4.2 percent. Japan's No. 2 automaker said late in the day it was slashing its profit forecast for the fiscal year and cutting managers' pay amid a global downturn in the auto industry. Nissan Motor Co. fell 4.1 percent after announcing plans to scale back production by a further 78,000 vehicles and cut 500 temporary workers. In Hong Kong, investors sent property firms surging after the territory's de facto central bank followed the Fed's move by cutting its base rate by a full percentage point to 0.5 percent. Because the territory's currency is pegged to the dollar, the Hong Kong Monetary Authority's actions usually track the Fed's. With U.S. interest rates now lower than Japan's key rate of 0.3 percent, the dollar fell from 88.96 yen to 88.33 yen, trading as low as 88.22 yen near a 13-year low. The euro strengthened further to 1.4112. Oil prices rose, with light, sweet crude for January delivery up $1.35 to $44.95 a barrel in Asian trade. The contract fell 91 cents to settle at $43.60 a barrel overnight.